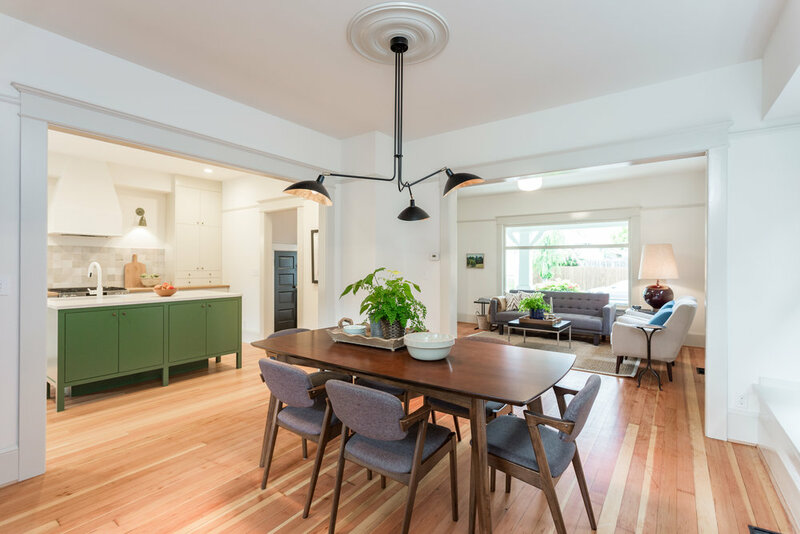 NE Going Remodel — Clarkbuilt, Inc. | General Contracting & Carpentry Portland, OR. A Monti Fox whole house remodel our team successfully completed. The house was originally built in 1908 and as with most of the projects we work on all of the systems and construction were not acceptable to current standards. Asbestos flooring was appropriately removed and disposed and the entire interior of the house was gutted to the studs. All new electrical, plumbing and hvac were run through the house. Addition of insulation that was never present was added to bring up energy efficiency. An extension to the original dormer at the back of the house was added to gain a full sized bathroom addition to encompass a master ensuite. Structural walls were moved on the first floor for a more open floor plan with the kitchen. 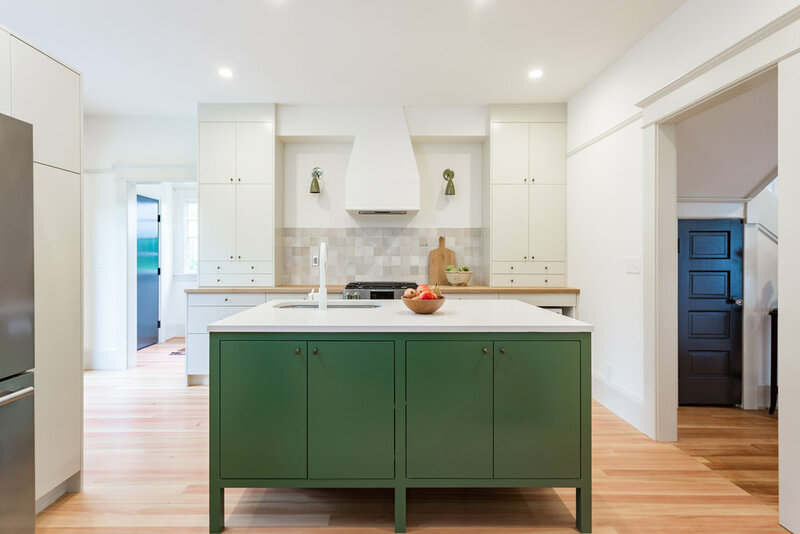 Clarkbuilt's craftsmen detailed out all of the cabinetry, finish carpentry and we managed and scheduled all the subcontractors to execute their tasks timely and appropriately.